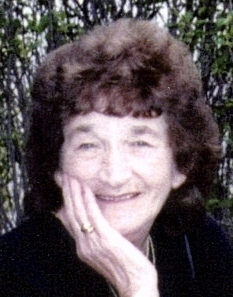 Luella Mae Vermillion, 76, died May 22, 2009 in Sioux Falls. She was born on May 9, 1933 to Frances Kranz. Raised in the Kranzburg area, Mrs. Vermillion moved to Sioux Falls in her teens. On February 23, 1953, she married Kenneth M. Vermillion. The two were blessed with five children, Kenneth A. (Renee), Keven J. (Cathy), Steven C. (Jennifer), Kathleen M. Grosz, (Mark), and Michael T. (Jennifer) all of whom survived her. Mrs. Vermillion is also survived by nine grandchildren, Sonja Vermillion, Tara Vermillion, Angela Rand, Misty Swierczek, Dustin Vermillion, Nathaniel Grosz, Grayson Grosz, Elizabeth Garry and Vanessa Garry and two great-grandchildren, Jayda Garry and Breslyn Rand. She is further survived by five beloved nieces, Lee Ann Pierce, Deb Qualseth, Jeany Hesse, Mary Gross and Patricia Alderman, a special family friend, Karen Koenders, as well as many other relatives and friends. Mrs. Vermillion devoted her life to her family and friends providing care and support to anyone who needed it, asking nothing in return. She was an amazing mother and friend. Her Catholic faith brought her comfort. She was preceded in death by her husband Kenneth M. Vermillion, her granddaughter Tiffany L. Vermillion, and her grandson, Andrew S. Vermillion. Luella was so passionate about people and all that God provided her. Her loving husband, her children and family colored her life like a freshly cut bouquet of flowers. She enjoyed laughing and playing cards with her friends, children and grandchildren. Music was her life beat, two-stepping in the kitchen preparing the next big holiday meal or a quick drive-by meal for a drop-in visit. She willingly shared her life and her love of people, and her quick wit, her enduring smile will be missed by all of those who knew her.